Everyone loves a good bargain, so we've rounded up some of the hottest pre-orders and deals of the week for your consideration. For the sake of simplicity we've used Amazon for listing pre-orders, simply because they serve both the UK and US; this time around we're focused on those two countries, though we'll try to look into options for more regions in the future. We've also included some of the best bargains that we've seen from other retailers. Celebrate the 30th Anniversary of The Legend of Zelda in style with these lovely amiibo; they will be compatible with the upcoming The Legend of Zelda: Breath of the Wild too. Available from 2nd December, get your pre-order in now. Who doesn't love it when Nintendo releases hardware in snazzy new colours? In North America at the end of October you'll be able to pick up a Nintendo 2DS in Electric Blue or Crimson Red with Mario Kart 7 installed. Europe gets a rather fetching light blue 2DS with Pokémon Sun (or Moon) in November. Of course you've already pre-ordered a NES Mini - we hope so, anyway, as pre-orders have been closed for a while now. If you missed out, you could always console yourself with this promising book which is released on 11th November to coincide with the NES Mini launch. Playing with Power: Nintendo NES Classics will cover the complete strategy for many classic NES games as well as content from the popular Nintendo Power magazine of the time. The hardcover edition will look great on your coffee table. These are some of the best deals and pre-orders we have found on our travels this week. If you spot any other bargains, be sure to let us know with a comment below. Mmm that ad revenue aint enough innthe doom and gloom. I almost want epic mickey for that price. Not a consistent enough Zelda fan to buy any of these, but that book looks super cool! I love that we live in an age where classy video game books are a thing you can buy. Haven't bought any of the new Zelda amiibo yet. I want to know what in the blue Hyrule they do in BoTW first. Well...I do like light blue but umm hmm. The 8-bit is neat, but I can just as easily get the Jakks Pacific WoN toy. Besides, I already have a Link amiibo and I try not to collect more then one of the same character. annndddd... they're out of stock! @Folkloner I'm sure we will know by the amiibo's release date...but either way I'm going to get the awesomely nostalgic Oot and 8-bit Links for now. If the functionality is good then I'll pick up the Wind Waker ones. For those who are looking, the Zelda Amiibo are available for preorder on Best Buy's website. Getting the NES mini I preordered that and preordered the playing with power book a while back on Amazon. The wait has been long since August I think. I've have a 2DS for a while now, (clear blue alpha Sapphire preloaded) I would upgrade to a 'New 2DS' but not a new colour. The double pack is £24.99. Way to encourage people by being more expensive. Strangely, it's sold out. But then I'd say it's available in much smaller quantities. Well, sorry, but already preordered them elsewhere. I missed this bargain posts! Haven't seen one for a while? @SLIGEACH_EIRE The double pack is the US version, so that's a $ price. The Wind Waker amiibo are available separately in Europe. Poor, poor Lucas. 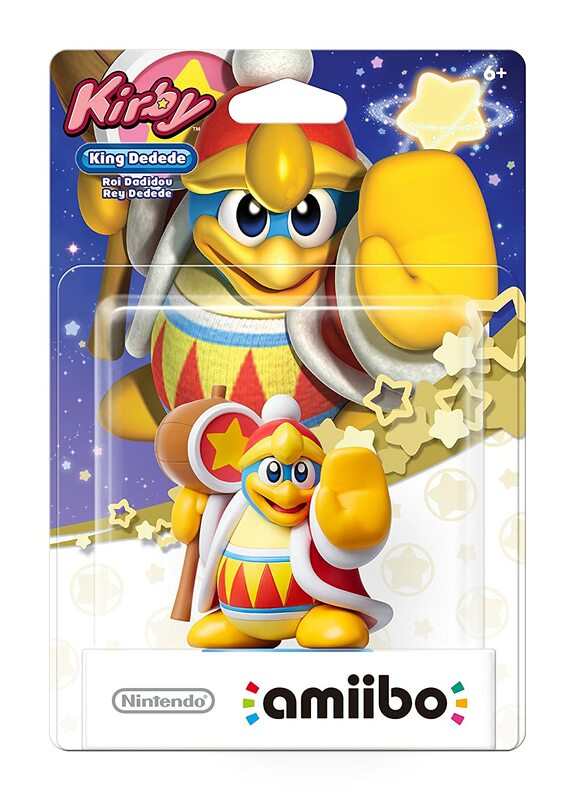 He's often the only amiibo left in ill-tended, unstocked amiibo sections of the chain stores here, and the price has been cut to nothing online. Cause going through all the drama in his game clearly wasn't enough! I've been thinking recently NL needs a shopping area/topic/whatever. Target US retail stores have been clearancing out amiibo and Wii U games for a few weeks now, games like XCX and Rodea Sky Soldier, picked up the new re-skinned Splatoon inkling amiibo for $4 each. Always good deals on amiibo at Amazon, Chibi-Robo, Meta-knight, 8-bit Mario, you name it. I think that supernova has burned itself out. Of course if NX had confirmed amiibo support and some Minecraft or MMO type game that really used the amiibo, maybe they'd be popular again? Where else can you use Chibi-Robo besides his game nobody liked? Poor $6 Chibi. @rjejr The Chibi-Robo amiibo is worth it for Chibi alone. 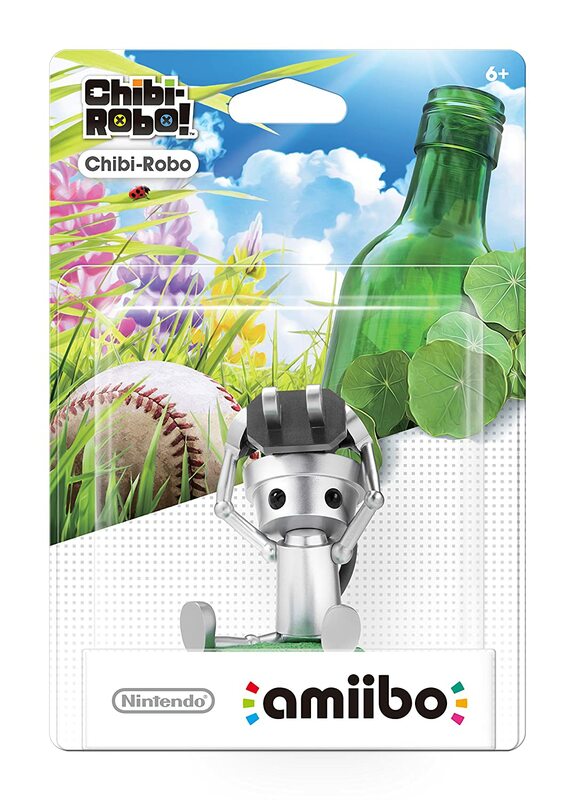 Where else are you going to get such an adorable Chibi-Robo figure? @rjejr You should be Nintendo Life's sales guy! These are some sweet deals. I'd get that Chibi Robo if I hadn't already found the bundle for $10. Went to Amazon and the Zelda amiibos are 'Currently Unavailable,' just like the new Super Mario amiibos and the NES Classic. I don't know what their preorder windows have been, but I stalked the NES Classic from the moment it was listed, signed up for email alerts, and it's never been available. Etrian Odyssey is up to £29.99 on Nintendo's UK store now. @Flowerlark I agree. I've been watching Amazon US like a hawk for the NES mini and the Ocarina of Time Link Amiibo, but they are still not available. @World @arrmixer @SMW You're all very welcome, enjoy. Oh, and I'm not making any money off of any of those links in case anyone is wondering, I just like good sales and passing it along. @Flowerlark You can preorder on Walmart's website right now, if you want to make sure you don't get left in the cold on Amazon. They had the 8-bit and Ocarina Link earlier today when I checked and locked them in. I'm seriously considering that new 2DS bundle now, as I've felt a bit ripped-off upgrading to the N3DS XL for nearly 3 times as much with no real extras to speak of. I never got MK7 so that would be a fantastic bonus! @PanicPuppet-92 2DS can't do SNES VC. @PigmaskFan True, but that doesn't really appeal to me. It's worth mentioning that people with Best Buy's "Gamer's Club Unlocked" membership also get 20% off amiibo. I recently picked up a couple more Animal Crossing amiibo, as well as a couple Star Fox amiibo, for about $3 each there. Is Yoshi's New Island worth it at £9.50? If it's a terrible game then no but is the game any good? @123akis For that price, I'd say to get it. It's a really mediocre game, but there's nothing really bad about it (besides the kazoo). The title almost lead me to think that there was going to be a "New 2DS" model. Seems weird for them to push colours for the older version of their handheld that can't run all the software out for it.